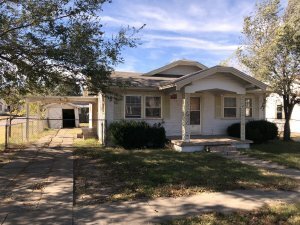 We Buy Houses in Amarillo Need To Sell Your House Fast? We Buy Houses! Get A Fair Offer. Make No Repairs. You Pick The Closing Date. We Buy Houses Anywhere In Amarillo, At Any Price. Check Out How Our Process Works. If you want to sell your Amarillo house… we’re ready to give you a fair all-cash offer. We are local Amarillo home buyers and we specialize in helping home owners solve their real estate problems. Stop the frustration of your unwanted property. Let Mitchell Property Group buy your house now, regardless of condition. Do You Need To Sell Your House in Amarillo, TX? We are Wade & Emmy Mitchell. We are a husband & wife team of real estate investors. As local investors, we buy houses in Amarillo, Canyon & Bushland. We offer a fair cash price and pay all the closing costs. You get to pick when we close. We work hard to make the process easy. We also sell houses, list houses and rent houses. If it’s real estate related, we can help!